Below are photography, nature, and wildlife resources I've found useful, educational, and inspirational over the years, from books to online classes. These are all books, classes, or products that I own and use. Some of my books are old, so the links to purchase the books may point to newer editions than my own. This post contains affiliate links and I will be compensated if you make a purchase after clicking on my links. This is at no extra cost to you and helps me keep this site going. Thanks! Martha Hill is a picture editor and Art Wolfe is a photographer, and together they have created a fantastic book for learning concepts that lead to more artistic nature photography. The book consists of photographs by Art Wolfe that demonstrate a topic. Both Art and Martha then discuss the merits of the photograph from their own perspectives, providing great insight between the two. Sections by Tim Grey discuss concepts specific to digital photography. I have both an older version of this book and the current version. See my blog posts for a more in-depth review of The New Art of Photographing Nature and the original The Art of Photographing Nature. Tony Sweet has a very artistic, painterly style to much of his photography. In this book he presents a beautiful sampling of his fine art flower photography. The book is full of closeups, artistic multiple exposure images, soft focus impressionistic images, and a wide range of others. Each photograph is accompanied by a short description of the technique(s) he used in creating the image. This is a small book, at just over 100 pages, full of beautiful imagery. Tony Sweet creates beautifully artistic images, and this small book contains some very nice examples. The layout is simple. The right page contains a beautiful photograph and the left page contains a description of that photo and how it was made. This is a small book, at just over 100 pages, but it contains some great images with short, but useful descriptions. See my blog post for a review of Fine Art Nature Photography. I received my copy of Food Photography through a goodreads giveaway. This is a really nice intro to food photography, especially if you already know a little about a camera. Corinna covers some of the basics (hardware, camera settings, exposure, and lighting), and she goes into a lot of detail on food-specific topics, such as how to style and work with the food, using dummy props before the actual shoot to keep food as fresh as possible, and lots of tips and techniques to work through tough shots. Alan L. Detrick explores macro photography of flowers, plants, and insects, subjects that would be in most any typical garden. The book covers all the usual essentials, such as gear specific to macro, and the needed photographic skills, such as exposure, composition, and lighting. Along the way he goes into how to approach creating different types of macro images, with plenty of photos to demonstrate the topics. This is one of my favorite guides to nature photography. Tim Fitzharris covers a wide range of topics, from the usual discussions of gear and lessons on essential photographic skills, to how to approach wildlife, how to see and photograph landscapes, and working at macro distances. And his imagery is beautiful, showing he has the skills he's teaching. I enjoy rereading sections of this book from time to time to refresh my skills. This is a book full of photographs taken in Acadia National Park, Maine. I picked up a copy while up there and it's a fantastic reminder of the beautiful landscapes of the area. It would also be a great way to sample what's available there before a trip, or as a substitute if you're not able to make it there but would like to get a glimpse into just how beautiful the area is. This is a beautiful book full of excellent examples of Steichen's work. It's organized chronologically, with a couple essays at the beginning of each section, followed by a large collection of Steichen's images. See my review of Edward Steichen: Lives in Photography. This is a large, heavy book, full of incredible black and white images that Salgado created while traveling the world looking for the wild places that still exist, seeking out people still following more traditional lifestyles, photographing wild animals in their own environments. See my review of Genesis by Sebastiao Salgado. Michael Kenna's work is absolutely stunning. He photographs in black and white, most often creating scenes that are misty, foggy, snowy, smokey, or photographed at night. He often shoots at the extremes of weather. Some of his images are very simple, very serene; others have great drama. I absolutely love this book. It's a great source of inspiration to me. Michael Kenna's images give me something to strive for, not to copy, but as inspiration, showing what is possible if you put your heart into it. This will not be my last Michael Kenna book. See my longer review of Michael Kenna: Images of the Seventh Day. The National Parks is full of fantastic imagery by photographer Ian Shive, recipient of the Ansel Adams Award for Conservation Photography. Ian is well known for photographing America's National Parks, and his talent is evident throughout this book, which also includes a number of essays by different writers. The book is in landscape format, approximately 8" x 10.5" and is 228 pages in length. I received my copy of Braving It, an uncorrected proof, through a giveaway at goodreads. Braving It is the fantastic story of James Campbell taking his daughter, Aiden, up to Alaska to allow her to experience some of the world as he has, to see the beauty in nature, and learn from some of the people living there. They travel to Alaska multiple times, experiencing different things, but getting closer each time, learning more about one another, and better appreciating the world through another's eyes. I really enjoyed this book. For more details see my blog post for a review of Braving It. CreativeLive is a fantastic educational company that creates classes on a large range of topics (not just photography) taught by some absolute masters of their craft. The concept is simple. When the live class first airs, or during rebroadcasts, it is streamed over the Internet, free to watch. If you like the content you can purchase the class, which allows you to stream it again at any point in the future or download HD videos to your computer to watch anytime. There is also often extra content available when you purchase. I've purchased many, many classes from CreativeLive, and likely will continue to do so. Below are some of the classes I've purchased and highly recommend. I look up to Art Wolfe as a great photographer, teacher, and human being. I find his works and words very inspiring. In this class he introduces his work and his life, showing how he got to be where and who he is. Art and Nature have always played a big part in his life, and now he teaches others how to make them part of their own lives. In the class he goes into the lenses he uses and how and why he uses them. He talks about how to find a subject and how to work a scene. He spends some time talking about composition, and how to make stronger compositions that evoke emotions in the viewer. The class includes a critique session where Art views and critiques photographs submitted by students. I always find these types of sessions very useful in learning how talented photographers see their work and that of others. It’s also full of lessons in how to improve our own photography. The class ends with 3 episodes from Art’s television series, Travels to the Edge. If you’ve never seen the show then this is a great introduction to it. I have the series on DVD and highly recommend the entire series. This class includes about 5 1/2 hours of video content, in addition to a PDF list of Art’s gear. For more details, see my review of Art Wolfe’s The Art of Nature Photography. This class gave me a whole new way of looking at and photographing flowers. Kathleen Clemons creates beautiful, soft, painterly photographs of flowers, often but not always using various Lensbaby lenses. She provides many examples of photos created with various lenses to give a better feel for their strengths and what they are capable of. One element she talked about a couple times is how she’s drawn to more unusual looking flowers, often incorporating curves or twists in petals. She often uses very shallow depth of field with wonderful out of focus elements, adding to the ethereal look of many of her flower photographs. If you’re looking to develop your skills at photographing flowers and see how photographs really can be artwork, you just can’t go wrong with this class. It was a half-day class and totals just under 4 hours of video. I re-watch it anytime I’m looking for a little inspiration. Frans Lanting is someone you may have heard of if you've been around nature photography for any span of time. I consider him one of the masters of the craft. In this class he focuses on photographing flower and plants, often with macro equipment, other times using more general gear. The class includes both in studio discussions and videos of him and students in the field working a scene. Frans is a great teacher and speaker. He does a fantastic job of conveying the topics, of showing his passion for the craft, and of encouraging the photographer/student. His tone of voice and speaking cadence is so well suited for teaching this material. Frans Lanting and Art Wolfe are two of my favorites, in this regard. They both share a passion that, to me at least, easily comes across in their speaking and teaching. This class includes almost 5 1/2 hours of video. Most years John Greengo updates and teaches his massive Fundamentals of Photography class. This is the best introductory class in photography I’ve taken. John has created lots of visuals that do a great job conveying all the topics, such as what makes up a camera, how lenses work, how to calculate exposures and how to use the various exposure modes, how manual and autofocus systems work and why each are useful, the characteristics of light, the use of a large number of gadgets and accessories, characteristics of composition, and any number of other useful topics. This is an enormous class usually taught over 4 or 5 days and includes many hours of video. I actually purchased both the 2010 and 2012 versions of the class, and the 2012 version included over 20 hours of video. If you purchase the class it includes all of the class slides as PDFs, which are great refreshers if you don’t want to re-watch all the video but want to go back over a particular topic. I think this is the perfect class for the beginner photographer, or someone who might feel a little rusty and just wants a good refresher. John Greengo is very good at what he does. See my longer review of John Greengo's Fundamentals of Photography. Ian Shive is an accomplished outdoor photographer. In fact, he received the Ansel Adams Award for Conservation Photography. He's also become well known for photographing the National Park system of the United States. This was a three day class, so there's a lot of content, over 15 1/2 hours worth. 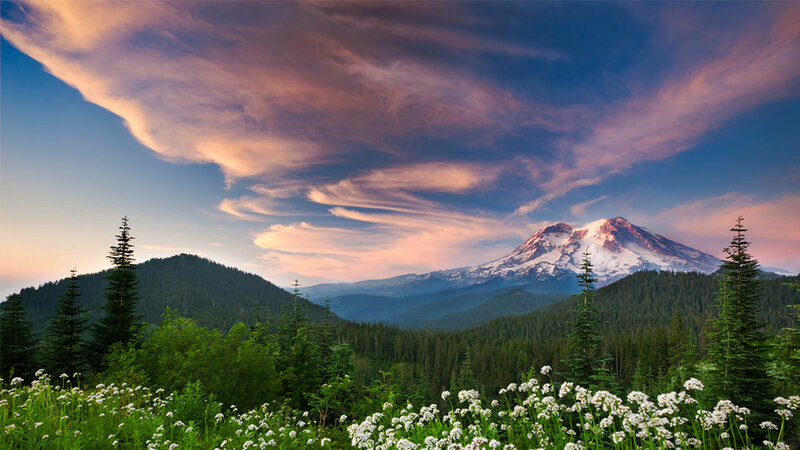 As with other nature and wildlife classes, it is split between in-studio discussions and videos of shoots in the field, in this case National Parks along the Olympic Peninsula, such as Olympic National Park and Mount Rainier National Park. I really enjoyed the location shoots where we get to see how Ian goes about creating images. If you purchase the class there are also a number of PDF documents with extra info, including keynote slides and some amazing examples of Ian's work. This class also covered a little of the business side, though Ian has another, shorter, class devoted entirely to that topic: The Business of Outdoor Photography. This was another great CreativeLive class. I received a free copy of Travel Photography: The Complete Guide with Ben Willmore in exchange for an honest review. Ben Willmore has taught a number of CreativeLive classes on a range of topics. This class teaches concepts and techniques to help you get the most from your travel photography. Ben covers topics such as planning for the trip, what gear to bring, how to handle tourists, how to improve compositions, and many post-processing techniques useful in travel photography. 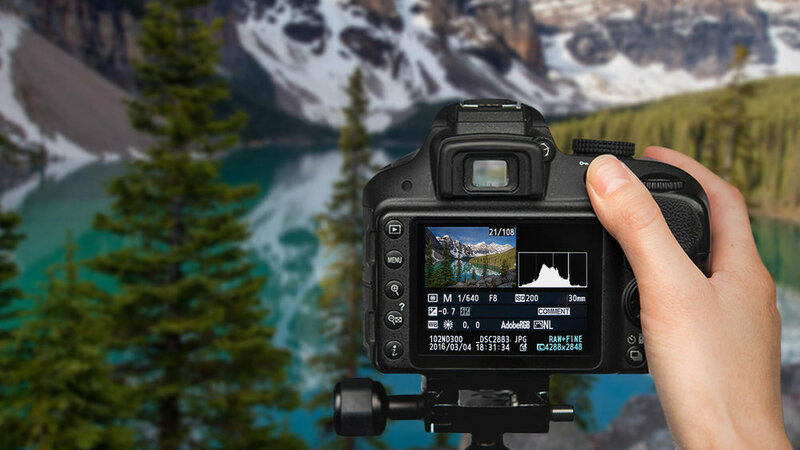 The class includes over 10 hours of video, and the purchased class includes a large number of extras, including Lightroom presets, actions, and keywords, and a number of very useful PDF documents including a 74 page Travel Photography Handbook. For more details check out my blog post review of Travel Photography: The Complete Guide. Tom Mangelsen has been creating beautiful images of landscapes and wildlife for decades. His work has been published in many places, notably National Geographic, BBC Wildlife, Life, Newsweek, and many others. The class includes almost 11 1/2 hours of content and originally aired over two consecutive days. Tom details his background, where he started and where he is now. He goes over his gear bag, what he uses and why. Time is split between in-class discussions and videos of he and a group of students in the field in iconic locations (Grand Tetons). This sort of class is the second best thing to actually being in the field with Tom. He talks about what he's thinking when scouting locations, approaching wildlife, and framing shots. Fantastic class. For more details check out my review of The Art of Wildlife Photography.